We are a local business that offers quality products with our custom fabrication solutions. 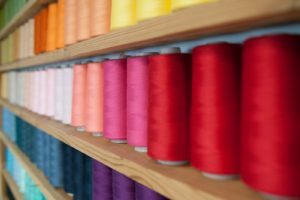 When it comes to selecting the ideal fabrics for your business, there is nothing more important than knowing you have a high-quality product in your hands. At Cottonall, we are passionate about helping our customers select the fabrics that make the most sense for their requirements, and with our custom fabrication capabilities, we can produce and ship exactly what you need. Cottonall is located in the heart of “textile country” in Winston-Salem, North Carolina, and we continually grow and adapt our offerings to ensure customer satisfaction. Our custom fabrication of quality textiles allows us to supply the automotive industry, industrial manufacturers, municipalities, universities, painters, furniture manufacturers, printers, small businesses, and more. It’s important to us that we provide our customers with complete solutions when they need fabrics that are durable, sustainable, and effective. We are always working to improve our custom fabrication process, so we can ensure our customers receive the best products for their needs. We can even recommend a full line of fabric products for your business’ specific needs. While many manufacturers in our field have gone overseas, at Cottonall, we are proud to say we are a local business that offers quality products and superior service. Whether you are looking for a specific product or have questions about our custom fabrication capabilities, we’ll be happy to answer your questions and provide you with the fabric supply that meets your needs. Contact us today to learn more. At Cottonall, we offer custom fabrication services to businesses in Winston-Salem, Raleigh, Greensboro, High Point, Bermuda Run, Clemmons, Durham, Fayetteville, Concord, Hickory, Charlotte, Mooresville, Statesville, Wilkesboro, and Lenoir, North Carolina.